To shield your home from the harsh winter weather that Breckenridge is known for, upgrade your siding today with Scottish Home Improvements. Our company offers multiple siding options for your home or business, including vinyl, fiber cement, stucco, and even steel. No matter what needs your home or business has, our team of experts can help you every step of the way. Since vinyl siding doesn’t always hold up very well under the freezing temperatures and bitter winds of Breckenridge winters, your home may be the perfect candidate for James Hardie® fiber cement siding. This material is specifically designed for our climate in Colorado–it is dimensionally stable and resists cracking, rotting, warping, buckling, swelling, and deterioration. You won’t have to put very much effort into the maintenance of this siding since this material is created to last for many years and carries a 30 year non-prorated warranty. Your James Hardie® siding can be manufactured to create the appearance of other materials. For example, fiber cement siding can be crafted to match cedar or stucco textures. The amazing durability of James Hardie® siding makes it fire retardant and resistant to hail, woodpeckers, and termites. When many of our Breckenridge homes are just outside of town and surrounded by trees, fiber cement siding offers peace of mind that even if disaster strikes in the form of a forest fire, your home will most likely survive. If you love the current look of your home’s exterior but need more protection, we can help! James Hardie® fiber cement siding offers thousands of color and style combinations, so we can closely match the current look of your home. On the other hand, if you’re looking for something new for your house, we can also work with you to design a fresh look. Thanks to our CAD programs, we can actually impose options for siding onto pictures of your home. This means you can see what your siding will look like before we even order your products, and you can feel completely comfortable and informed with your purchase. If your home has wood siding, we can help protect it. Wood siding doesn’t last as long as some other materials, but we can put a seal on your home to improve its strength and create a longer lasting finish. We supply our authentic wood and cedar siding from local family-owned wood manufacturers, and we can help you find the perfect aesthetic for your Breckenridge home or business. 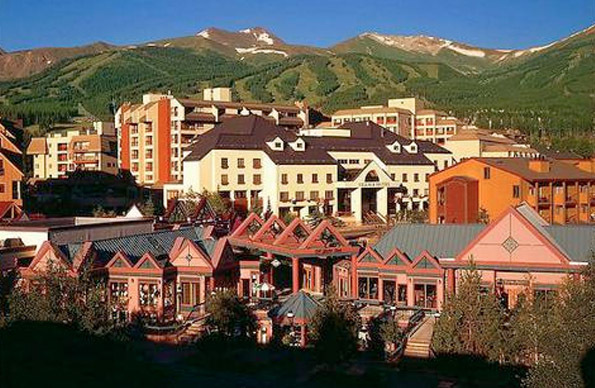 Many Breckenridge property owners agree that wood siding offers a great rustic look, perfect for this mountain town. We offer an extensive collection of vinyl siding products as well. Although this siding solution isn’t as durable as our other options, vinyl siding offers a cost-friendly investment for families on a strict budget. Vinyl siding can be customized in virtually any color and offers Breckenridge families a low-maintenance alternative. Steel siding may be the right choice for your commercial building, as it is certainly durable enough to weather the freezing temperatures and precipitation. With a larger selection geared towards aesthetics, there may be some steel siding options for your home as well. Steel siding is great for stand-alone garages, outdoor workshops, and other nontraditional buildings that require durability and no maintenance. 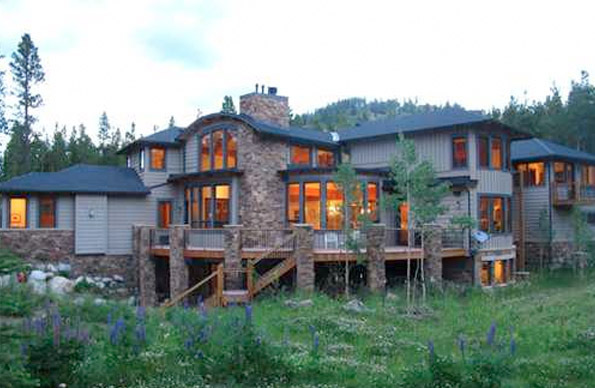 We’re proud to be the trusted siding repair contractor in the Breckenridge area. Our highly qualified team recognizes different siding material repair requirements and we have the largest siding inventory, enabling us to match your original siding in replacement situations. We’ve successfully completed many commercial and residential siding repair projects throughout this mountain town and would love to help you with yours! Scottish Home Improvements has been replacing the siding on single-family and multi-family residences in Summit County for the past 10 years. Our experts provide you with the utmost customer service, and we are rated as an A+ with the BBB. Call us or email us today for your free quotation and discover the siding options which will increase your home’s equity, save on fuel costs, and improve your home’s aesthetics.